The Cypher Ceres II is the perfect lightweight racking carabiner that allows you to color code your rack to easily identify the perfect piece for your next placement. 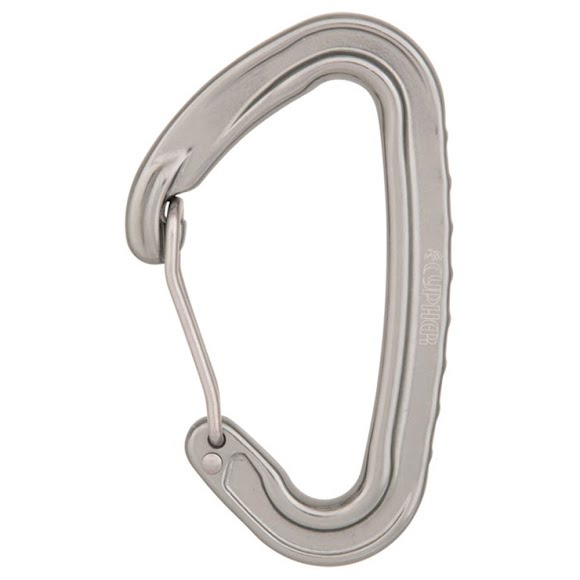 The Ceres II is a hooded wire-gate carabiner with a compact frame, cutting down the bulkyness of your rack. The contoured wire-gate shape makes clipping bolts, webbing, and ropes an easy task. Made with hot forged aluminum.